Bellevue, Washington, March 17, 2018—In what has become a favorite spring charity event in Seattle, Play It Forward 8, the annual gala staged by Music Aid Northwest (MAN), continued the tradition of top flight entertainment and philanthropy. 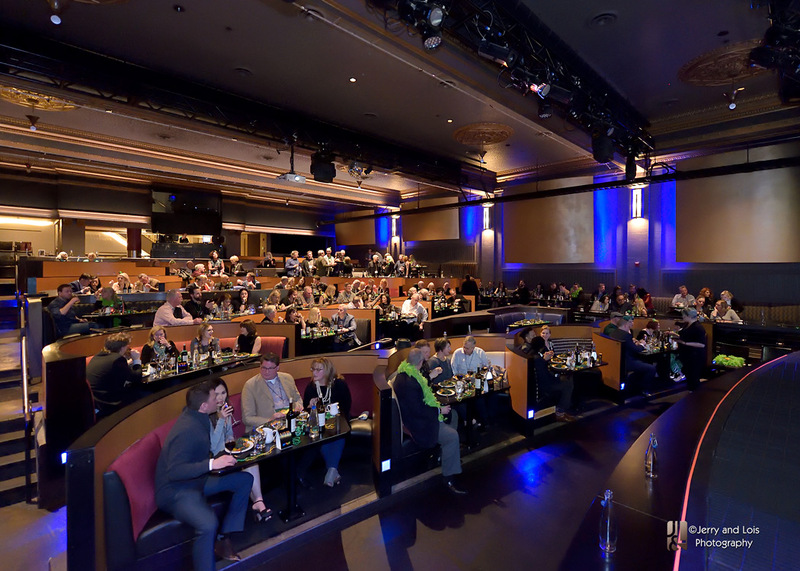 Over 200 people filled The Triple Door to celebrate music and raise much-needed funds to help struggling music programs in Washington Schools. In a special ceremony during the event, Washington’s own Pat O’Day was honored with the very first Washington Music Icon award. Enloe, winner of Seattle Wave Radio’s Jammin Challenge, opened the show to rave reviews. Next, Jaydon Beleford, a student at Hazen High School, brought the house down with his classic operatic voice in a stirring rendition of “O Sole Mio”. The crowd then welcomed two Danish musicians, Jessica Lynn and Cerke Cherokee to the stage for a spectacular performance. Carina DeAngelo and Patrick Vincent continued the show, after which Carina shared her story of how she benefitted from the economic support of Music Aid Northwest! The enthusiastic crowd danced in the aisles to the music of Linda Ronstadt and Eagles as Just One Look and The Kings of Hollywood closed out the night. Music Aid Northwest would like to thank everyone who contributed to the evening’s success: those who attended and especially the artists, all of whom donated their time to further our passion: music education in our public schools. Play it Forward 9 is tentatively scheduled for March 16, 2019.